Maxie Heating & Cooling is proud to serve the Woolwich community! About Woolwich, NJ - Happy to be your hometown Heating & Air Conditioning Contractor! 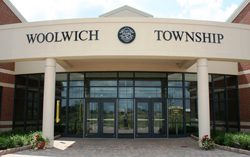 Woolwich is a township of over 3,000 residents and is located in New Jersey. It is a small, historic area with plenty of amiability, charm and history dating back to the early 1700s. Education services for grades K-6th grade are provided by Swedesboro-Woolwich School District and services for grades 6th-12th are provided by the Kingsway Regional School District. A great attraction for kids, as well as adults, is the Woolwich Township (St. Jacobs) Arena Ice Skating Rink an indoor ice skating rink that is open year round. The warm to hot summers and cold winters make for a comfortable climate during most months of the year. Woolwich is a perfect getaway from the crowds of the big city for people that want to experience the charm and friendliness of a little country town.